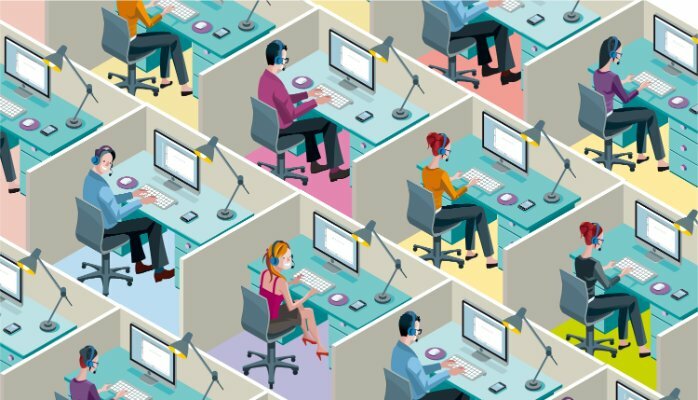 As outsourcing customer service operations is on a steady incline, call centers may find it more challenging to manage cash flow. These businesses tend to exist in a state of constant change, making it very important to have enough working capital available. When it comes to easy funding solutions, the best way to ensure financial flexibility is to use invoice factoring, particularly for corporate clients who tend to pay your invoices on a net-45 or net-60 basis. Waiting to get paid can make it very difficult for a call center operation to take on new business. The main reason is because of the staffing required. With few options for quick funding, new call centers may not have access to financing sources to help fund gaps in cash flow. This is where invoice factoring provides a quick and easy solution, as options such as taking on a fixed loan would create additional debt obligations as well as take a long time. A call center can utilize invoice financing for an excellent and speedy way to accelerate cash flow. The method is straightforward – a business can sell its invoices to the factoring company for an up-front lump sum of cash. Generally, the business receives 80% immediately after issuing the invoice. Once the invoice is paid, the remaining 20% is released to the client, minus the factoring fees. What also makes a factoring arrangement so appealing is the efficiency of the process. It requires minimal documentation and takes 3-5 days to fund. A noteworthy point, accounts receivable (“A/R”) factoring is considered a purchase and sale of assets instead of a loan. No owner credit qualification is required, because it’s the creditworthiness of customers that matters. As your invoice value grows, the amount of money you receive goes up too so a factor will grow with you. Factoring is an ideal vehicle for funding a growing business. It’s so quick and easy to establish, requiring a simple application process, and usually takes 3-5 days max. Since delayed payments are prevalent in the call center industry, invoice factoring is an ideal funding vehicle to keep cash flow stable.